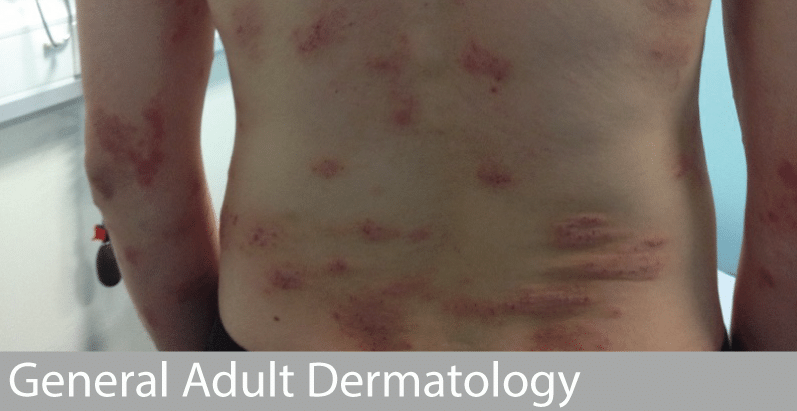 Dermatology is the branch of medicine dealing with the skin, nails and hair and its diseases. As a Dermatologist Dr Orton is trained to see all age groups of patients with inflammatory, inherited, environmental, occupational or malignant skin disorders. The main inflammatory conditions Dr Orton sees include eczema/dermatitis, psoriasis and acne and he has a particular interest in the management of eczema. He also sees patients presenting with benign and malignant skin lesions including moles, warts and cysts but he refers removal of such lesions to one of his colleagues with an expertise in skin surgery.